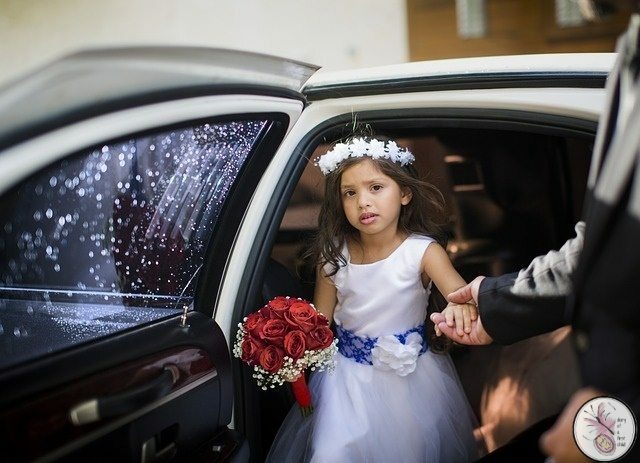 Although many modern weddings steer towards a ‘no children’ policy, there are still those who love nothing more than including the whole family, kids and all, for the celebrations. One of the best weddings we’ve ever been to was one where the bride spent ages on the dance floor with the children! There’s a lot to be said for having children at a wedding; they add an element of cuteness and fun to the whole day and just look adorable in their smart little outfits. Typically with weddings there is a smart dress code, which can be the perfect excuse to splash out on something your children wouldn’t normally wear. But before you get carried away don’t forget that kids will be kids and will want to run around, play, jump and inevitably get a little messed up. So rather than battling with them and spending your day worrying about their expensive threads getting trashed, choose something that can withstand a little playtime without getting wrecked. Don’t underestimate the amount of time your children will spend sitting around on the day waiting for things to happen. This can be frustrating for adults, but for kids this can lead to boredom and restlessness, which can be made a lot worse if they’re dressed in uncomfortable clothing. For this reason go for something that looks smart like shirt, trousers and bow ties or a loose fitting dresses that aren’t tight fitting or going to irritate them. This will give them one less distraction during quiet times. Also be mindful of the weather and be careful not to over or under dress them for the occasion. An uncomfortable child that’s too hot or too cold will be an unhappy one and may well put a dampener on your day too. While you may be tempted to go for big frilly dresses with lots of layers or a full on suit for the boys, always think about the practical aspect of their clothing. For example, if you have little children still in nappies or newly potty trained, you want to make changing nappies or going to the toilet as simple and quick as possible without having to negotiate difficult fastenings or lots of layers. There’s no escaping the fact that kids are messy little creatures, whether it’s eating, playing or otherwise, so when you’re choosing your outfit it’s a good idea to get creative with colours. Choosing darker shades, patterns or wipe clean fabrics will help you can manage the potential mess to keep them looking smart all day long. Once you’ve got the basics of the outfit sorted, it’s time to start accessorising to give their little outfits extra ‘cute’ appeal. A great way to add a little pizzazz to boys’ ensembles is with a kid’s bowtie or tie; team it with a matching handkerchief and your little man will look dapper enough to upstage the groom. For girls there are a whole host of accessories from pretty hair bows, head bands and bracelets to sparkly handbags to keep their prized possessions on the day. With all this in mind and the essential pack of baby wipes in your handbag, you can make sure your kids look super sweet for the whole day, while keeping them cool and comfortable too. Weddings and I guess all occasions wouldn’t be perfect without these lovely kids. Your words about keeping them comfortable are very true. 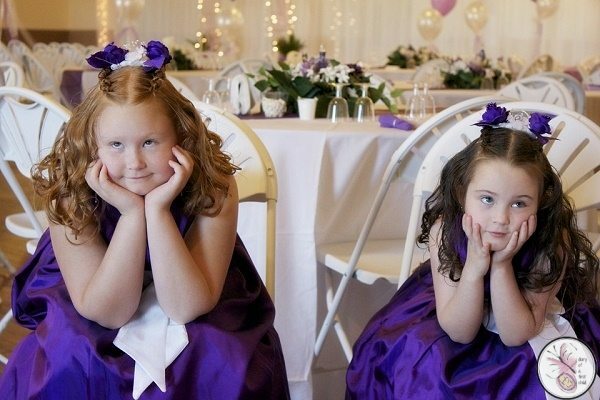 While they do add a “cute factor” to any wedding, the steps that you take to ensure they are well behaved are important. You make a great point about ending the battle before it starts by picking the right outfit. Choosing something that is kid appropriate could reduce the hassle by increasing their comfort, just as you shared. I couldn’t agree with you more. When it comes to dressing your kids for a more formal event, your best bet is to make sure their comfortable so that they will not be reluctant to stay in their outfits throughout the entire event. Great pointers! Thanks so much for the tips! I love these tips. I think with kids, having them in light colors is tough because they show any and all flaws that may occur throughout the day. I always keep a little whitening/cleaning pen in my purse for those types of occasions. Thanks for sharing, great post!